In India, Ramzan (Ramadan) will start from 2August 2011 (Insha Allah). Here is the Ramzan Time Table 2011 for Mumbai and suburb area. 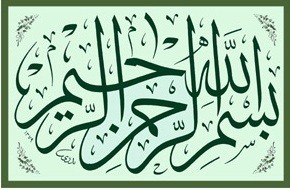 MashaALLAH, very nice Islamic website for Islamic material. i appreciate the collection of material and data presented in a very nice manner. keep it up people, it is really helpful for Muslims to come and visit such website again and again. Asalamo-alaikum-w.b islamicquote is a An online Muslim photo, &wallpapers. Islamic wallpapers, latest news,hadith,news,e.t.c and also updates.A great information site about Islam and Muslims in text,audio and video. Also, a good reference for non-Muslims who are searching about Islam.Huge Collection of Islamic Speechislamic site blogspot.comes, Naats and Books. Official Website of islamicquote. Do you know the way of going to shrines?